Matt, Hugh and Jamie are back for another edition of the Green and Gold Rugby Show, examining the Wallabies win over the Springboks, the Rugby Championship structure, the NRC and more. 1. Was that an improved performance by the Wallabies? 2. Is the Beale – Toomua combo worth persevering with? 3. What will be the Wallabies have to do to beat the Pumas? 4. What’s wrong with the Rugby Championship? 5. What else happened around the grounds? Some really good points from all three of you this week, guys, cheers. But, seriously, when has Bernard Foley ever been an organiser? Being an organiser was what Matt Toomua was best at when he played 10 at the Brumbies, for the Wallabies and for Leicester. One could argue that he perhaps lacks a little spark in attack, but organising was always one of his strengths. I actually think the combo worked reasonably well for a first hit out. Foley and Beale have probably had about 100 tests together and yet our attack was diabolical in the Irish series and against the All Blacks. If we want to give ourselves even a faint hope of doing well in the RWC it is time to try and develop something new with Toomua and Beale. Other than that, Matt is 100% correct on Koroibete and Maddocks. 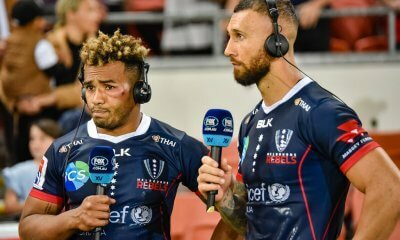 Koroibete doesn’t know the sport well enough yet, makes horrendous defensive reads and put us under pressure when he goes for the big hit that he misses half of the time, and Maddocks is not yet big enough or powerful enough. 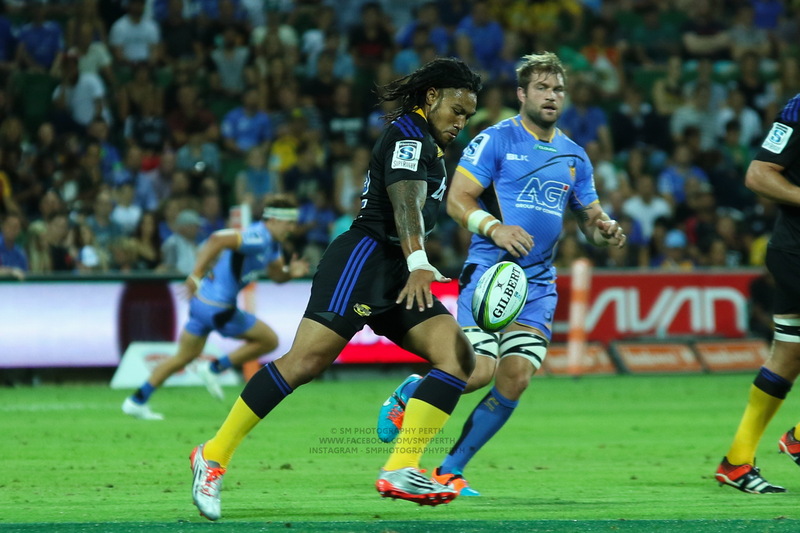 Banks, Naivalu, English, Perese – all these guys need to be looked at replacing Koroibete and Maddocks. Hugh was right that a win was just what the doctor ordered. I disagree on Foley. He keeps the line flat, and his first step is almost always in the direction of the opposition try line. Saying he ‘just shovels it to Beale’ is absurd. As I said, I’d love there to be another option, but I just don’t think there is. Toomua is better at 12 (plays too deep at 10 for mine), and Beale is better out wide (runs sideways more often than not at 10). But we can agree to disagree, and I hope Beale/Toomua brings the house down this Saturday to prove me wrong! You need to re read DB’s first paragraph Hugh. He didn’t say Foley “just shovels it to Beale” and the shovelling reference was a very small part of his critique. Toomua played deep at 10 for the Brumbies under Jake White because of the game plan, but he played much flatter there for the Wallabies in 2013, and at the Brumbies under Larkham, and when he played at 10 for Leicester. Even on the weekend he was mostly at 10, and we scored more points than we have most of the time with 10. Foley, 12. Beale, despite them plays so many matches together. How long are we going to wait for the Foley/Beale combo to click before we accept it isn’t good at international level? Even if it is marginally better on attack (which I disagree with), it makes our defence atrocious to have two awful defenders at 10 and 12. To be fair, I didn’t say he just shovels it to Beale. He is a top class runner and threatens the line, and can make breaks. But when he doesn’t do that the Wallabies’ attack is little more than him shovelling it to Beale and hoping Beale does something amazing. Foley still doesn’t run an attack. Don’t want to turn this into a back-and-forth, but my ideal scenario is a Foley/Toomua combination with Beale floating in from wing or FB. So we move away from Foley/Beale, with a solution that keeps KB’s attacking prowess but injecting a bit of physicality from MT. Priority should be getting a “playmaker” back in the wallaby 10. Playing another 9 is not working and hasn’t for 4-5 years. We need a dangerous 10 who creates opportunities. …….THAT would at least forgives any defence weaknesses they have. But if they’re average on attack And defence like Foley is. . ….Gotta go. I think it’s too weak on defence personally. We Australians never value defence enough, always opting for flashy guys rather than guys who will consistently make their tackles. 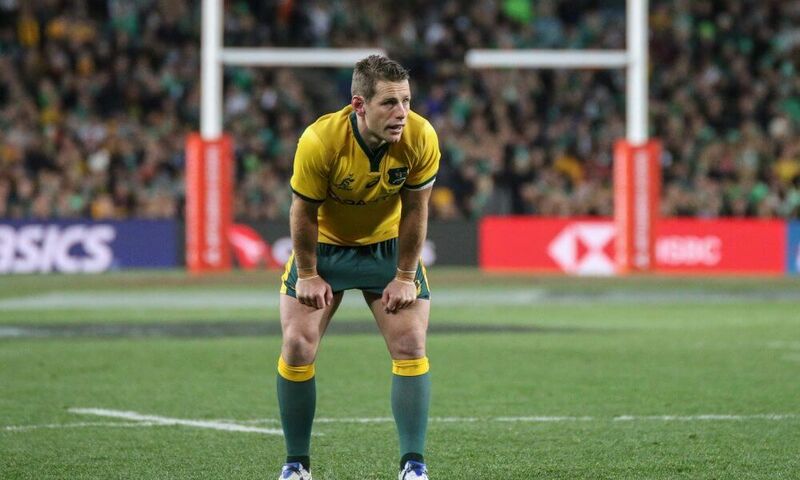 What leads you to believe Beale’s defence is any better than Foley’s? I’d actually agree that Foley runs or shovels. But I think that is his strength in our back line. 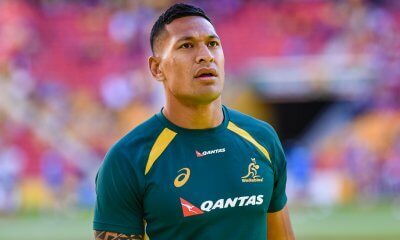 He’s not a play-maker, but he doesn’t need to be with Beale outside of him (plus Folau, whichever K or H is at 13 and our wings). He is dangerous enough running that the defense can’t drift, and he shuffles very quickly giving the second receiver time and some space. Like everyone I wish he could kick, or better that we just planned around the fact he can’t kick when clearing from our 22. But I don’t think anyone should have to defend his running or shuffling game. So we’re playing a 10 who doesn’t defend well and doesn’t have a tactical kicking game just so he can pass it to the 12 to do the playmaking for him? I get what you’re saying – and I agree Foley has his strengths of course – but I just think he’s too limited to play in the most important position on the field at international level. Yes, thanks guys for the podcast, always interesting. Especially with the variety of views. For my mind it was fantastic to see the Wallabies able to exit more than 5 times in ten. Thats the real strength of the new 10,12,15 combination. The opposition will no longer merely have to wait for our mistakes. And, with respect, there is no way our previous 10 could be classified as a organiser… or a general. 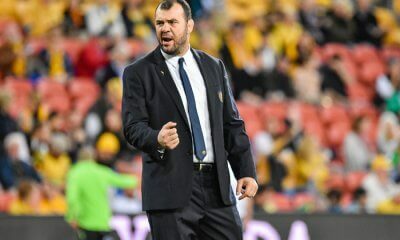 FFS the wallabies have been playing their own version of zombie footy (play the same game plan, play it again, play it again despite…whats in front of you) for so long its embarrassing and that is directly attributable to the 10 not spotting opportunities.